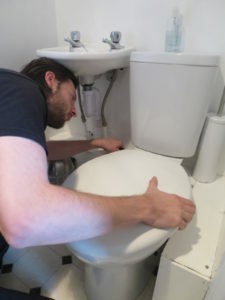 The gentleman explained that the syphon and the inlet valve on his toilet needed replacing. There had been resulting in water leakage and he had been forced to turn his water off two days earlier. call on us on 017687 75812 and we will endeavour to attend to that straightaway with our usual lightening fast response.